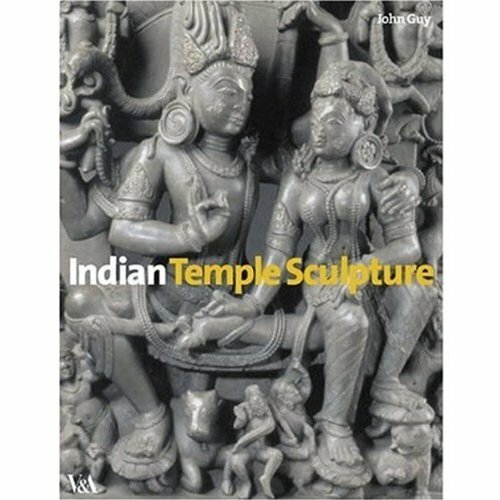 "this is the first book to look at Indian temple sculpture within its full context, from religion and ritual to architecture and iconography. John Guy examines the sculpture as an instrument of worship that embodies powerful religious experiences, and considers its cosmological meaning, its origins, the temple setting, and the role of sculpture within it, also revealing the vivid rituals and traditions still in practice today. 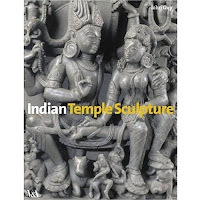 An excellent introduction to the three traditional religions of the Indian subcontinent—Hinduism, Jainism, and Buddhism—through the myths and manifestations of the principal deities, Indian Temple Sculpture will fascinate all those interested in Indian culture". Why though do the bits have to be detached from the building, taken from the subcontinent, housed in South Kensington in order that someone has to write a book to explain all about their position in the architecture, temple setting? I would have thought that those who actually are "fascinated by Indian culture" (a bit more than just wanting a coffee table book on it) could relatively easily hop on a plane and go and see it first hand. Perhaps these disparate fragments should go back, and then they can be properly appreciated in that setting which the book tries to recreate for them? India these days is not such a far-off destination for the average Londoner as it would have been when the V&A was founded. London and the V&A however probably are only marginally more accessible to the average Indian villager than they were back then. Surely in these days of easy intercontinental travel, European and North American trophy collections like this made at the expense of stripping a fragile monument the other side of the global village are a damaging anachronism. I did not buy the book, it would have just made me angry.